This course focuses on the development of creative skills through performance, composition, technology and contextual study. It is designed for performers who wish to develop their technical performance skills, creativity and musicianship in conjunction with music industry studies. The course combines a study of instrumental techniques as well as music theory and practice with the opportunity to engage with a range of music styles from rock, jazz, blues, to Irish and world music. Live performances and studio recordings are an integral part of the course. Through continued commitment to rehearsal, students develop the discipline that is required to work in the music industry. 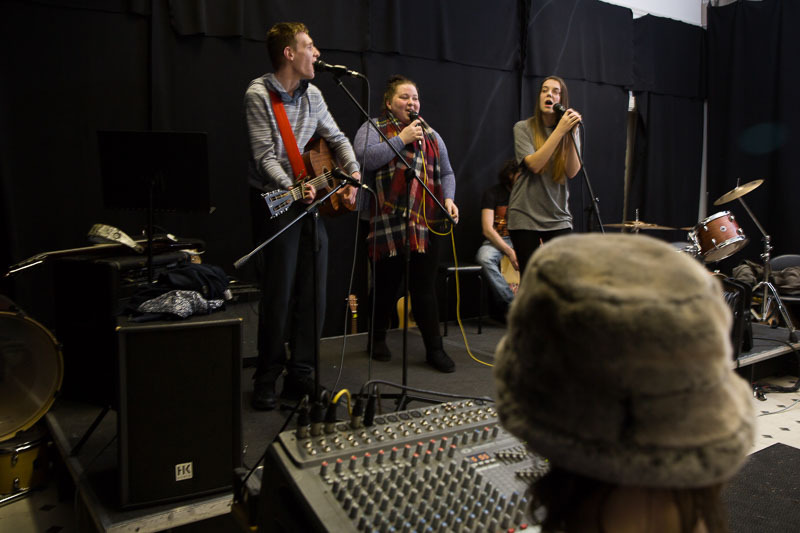 Students develop, produce and deliver live performances as part of their course work. These offer an ideal environment in which each student can put into use the knowledge and skills gained while on the course. Graduates of this course will be able to pursue many differing opportunities across the music industry as performers, artists, session players, musical directors, theatre musicians, music programmers, arrangers and composers. Graduates are also eligible to apply through the CAO and/or the Higher Education Links Scheme for entry to year one of a range of higher certificate and degree programmes at Institutes of Technology and Universities (please check with the particular institution regarding local eligibility requirements).